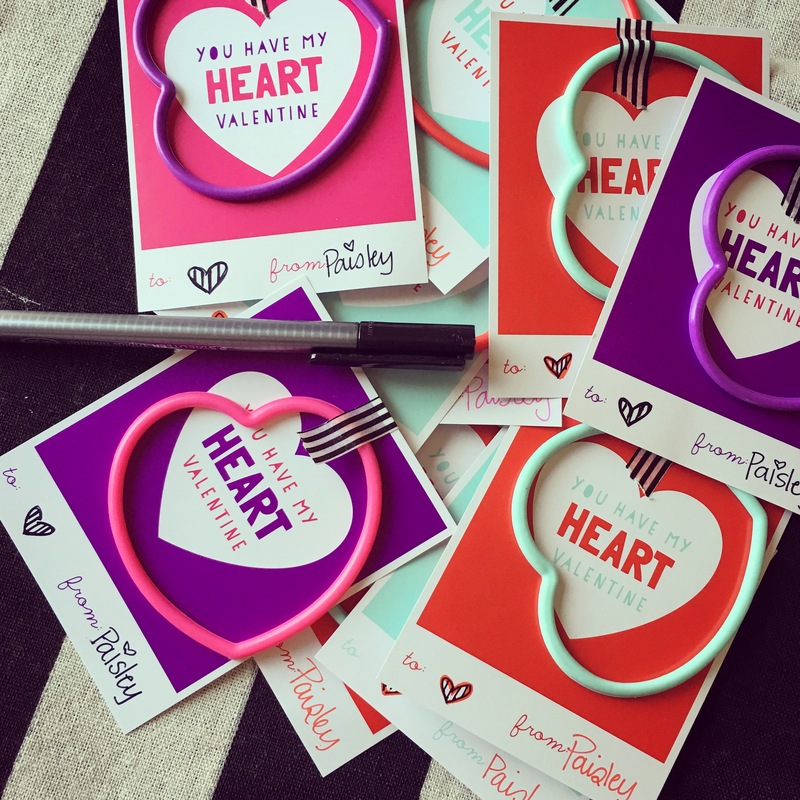 I just love all of the bright and happy colors that the month of love has to offer, and Paisley’s Valentine’s Day cards were right on point! 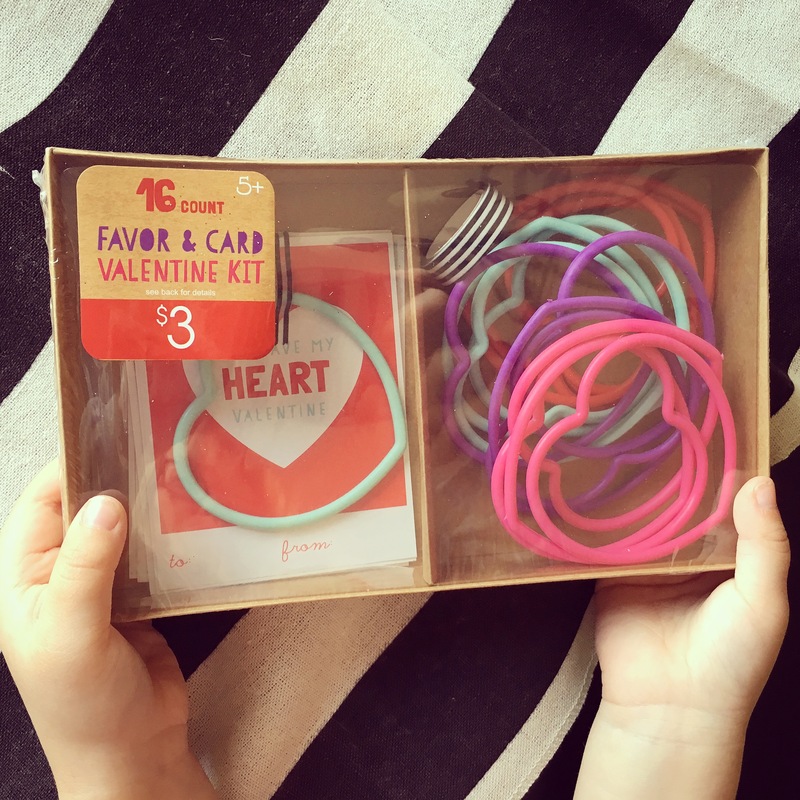 Thank you again, good and trusty $1 Spot at Target for this Valentine WIN! 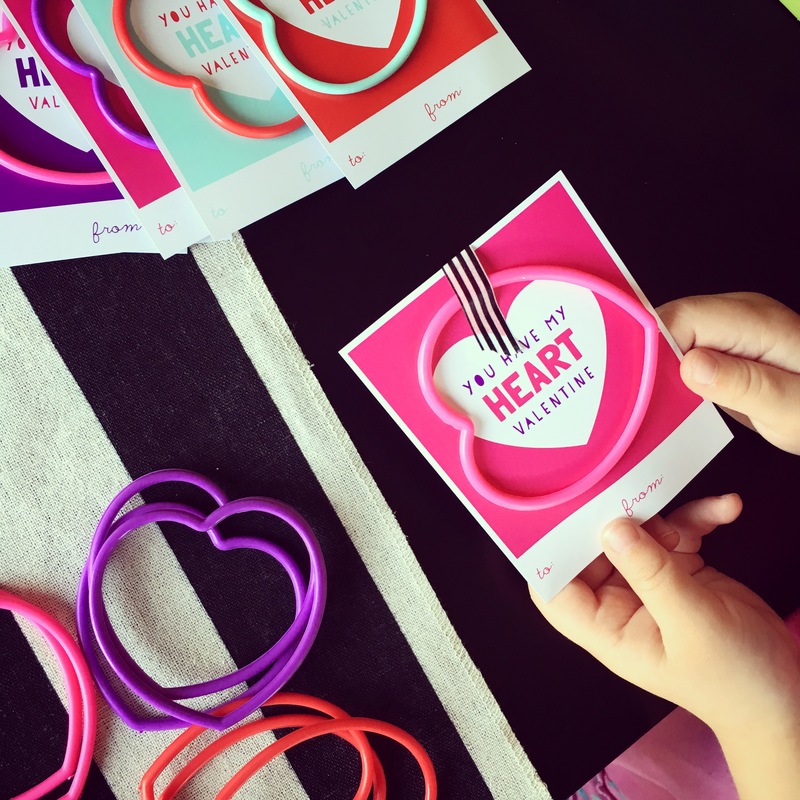 For $3 we were able to make the sweetest bracelet Valentine’s Day cards for Paisley’s preschool class. 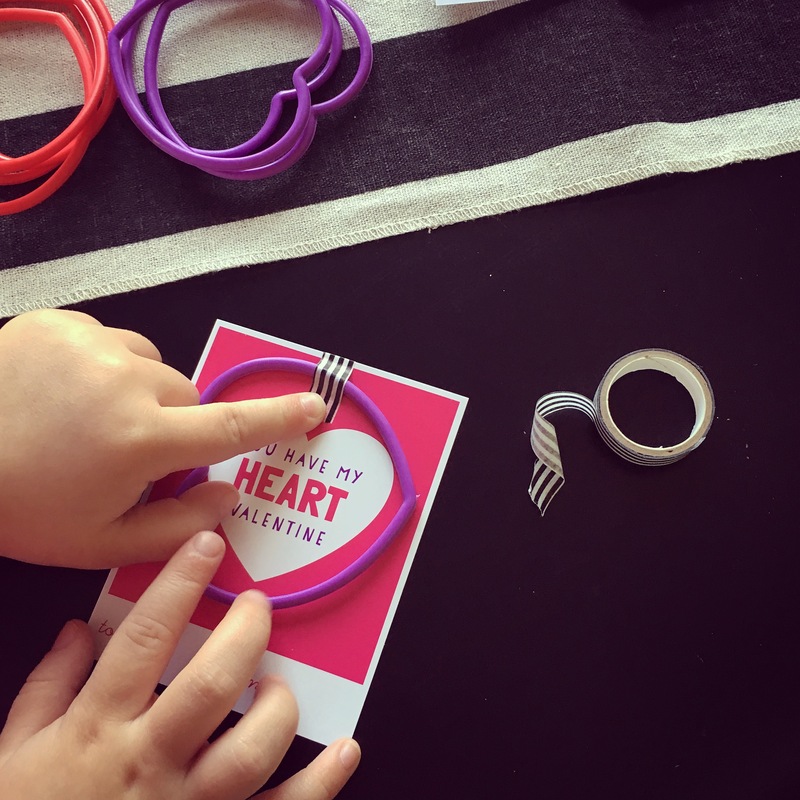 I love the price and ease of assembly, and she was thrilled that everyone is going to receive a heart bracelet! Win-Win! 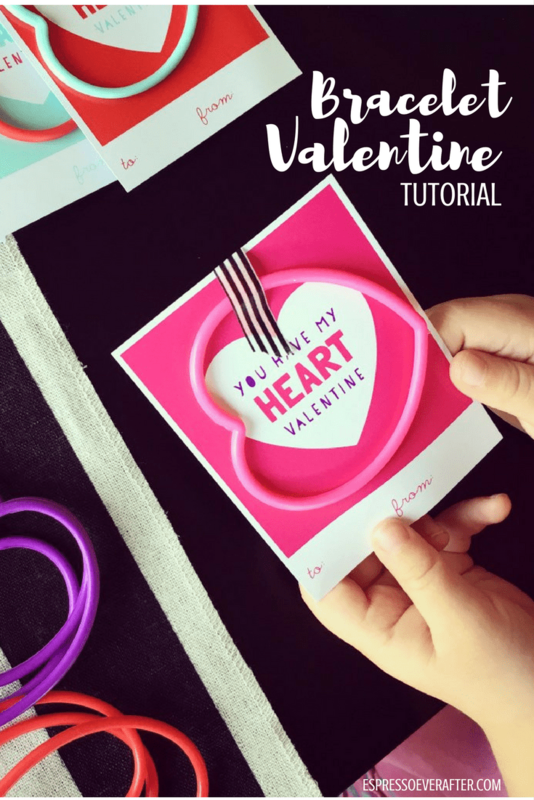 I had all of these great ideas for helping Paisley make sweet V-Day cards this year, but then we stumbled upon this adorable kit and immediately I threw all of my time and money consuming ideas out the window. This kit was so easy to use, and it was so much fun watching Paisley actually assemble each card. It made for a very fun mother/daughter crafting afternoon. In just a few easy steps her masterpieces were created! If you fell in love with this card and your neighborhood Target has already sold-out, not to worry! This card only needs 3 items and you could recreate it easily. 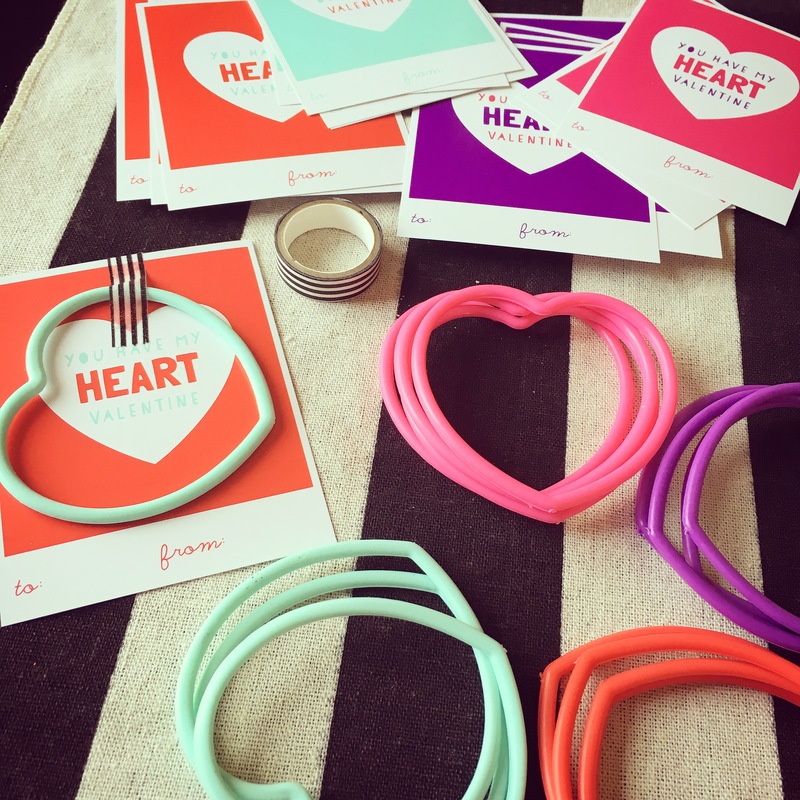 You would need a package of plastic bracelets (I have seen inexpensive packages of bracelets at Target, Walmart & Dollar Tree. ), create a valentine printout on your computer and a cute roll of washi-tape to piece it all together! That is it, and now you too can have this sweet card! Please leave a comment below… I would love to hear about the cute cards you made with your little’s this year. Happy Valentine’s Day card creating!